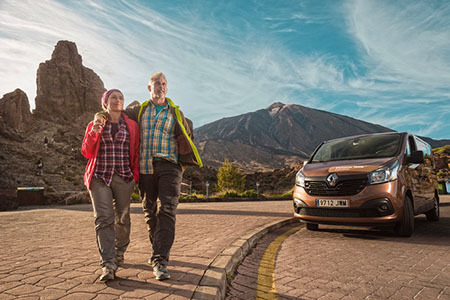 Volcano Teide is the Catalogue of experiences that Teide Cable Car can offer you, including the best activities that you can imagine in Teide National Park, with the highest standards of quality guaranteed by a great company. We have more than 40 years experience working for visitors to Teide and we are the most important nature leisure centre in the Canary Islands. Volcano Teide was born from suggestions by our visitors who asked for ways to better get to know the treasures of Teide National Park. Discover this magnificent treasure with the help of experts and choose among our broad range of experiences the one that fits you. CAN WE GIVE YOU A QUICK TIP? Click on the main reason for your trip, and discover which activities fit in best with what you’re looking for. DO YOU WANT TO KNOW WHAT TO DO ON MT TEIDE ANY DAY OF THE WEEK? Check out the visual calendar of all the experiences available. With its help, you’ll be able to see everything at a glance, from the days, the times and the durations to what each activity includes and the prices. It’s designed to help you plan the perfect trip to the most visited National Park in Europe for you.